Own a piece of Universal Horror history. 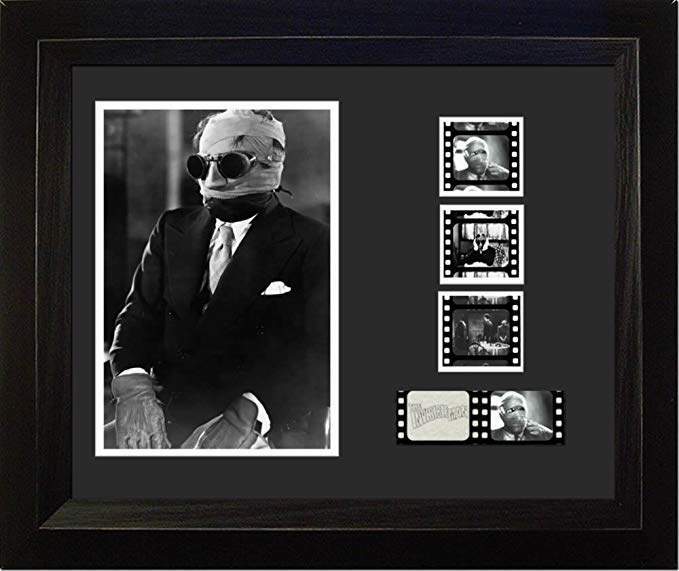 This is a sensational film cell display featuring three 35mm film cells from the classic 1933 Universal movie, “The Invisible Man” starring Claude Rains. This display is 13″ x 11″, beautifully appointed with 3 dynamic cells, mounted so light can shine through them. Also included is a high resolution companion image and information plate. Your cell also includes a Certificate of Authenticity and is professionally double-matted behind plexiglass and framed in rich black ash. This is a great collectible for vintage horror flick fans featuring one of the most iconic of the early Universal Monster creations. Comes in profective factory box, ready for display.